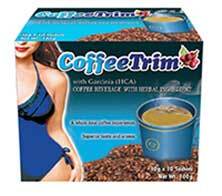 CoffeeTrim is a diet pill that uses green coffee bean extract as a stand-alone ingredient. Green coffee bean is a respected ingredient, but CoffeeTrim is not the only diet pill that’s powered by extracts taken from green coffee beans. Most diet pill manufacturers offer similar products and there is unlikely to be a lot of difference between them, other than the price and whether or not they are backed by a money back guarantee. 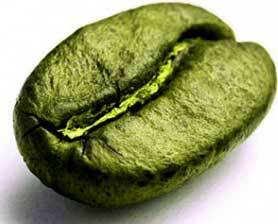 Each capsule provides 400mg of green coffee bean extract that has been standardized to provide 50% chlorogenic acid. The extract used in CoffeeTrim is sourced from Arabica coffee beans. 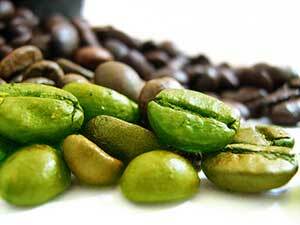 Like all coffee beans, in their natural state, Arabica beans are green. The Arabica beans used to brew coffee are brown. The difference in colour is caused by the roasting process that provides the beans with a richer, stronger flavour. The roasting process may improve the taste of the beans, but it also purges them of chlorogenic acid. Chlorogenic acid is generally more highly regarded for its ability to boost the metabolism and encourage thermogenic fat burning, but it’s also known to be capable of controlling blood sugar levels and preventing the fluctuations that can trigger cravings for something sweet to eat. Despite the fact that scientific data revealed green coffee bean’s potential as a weight loss provider, the ingredient remained largely ignored until the American TV health and fitness guru, Dr. Oz, endorsed its abilities during one of his shows. Sales of green coffee bean extract increased almost overnight and the ingredient continues to be very popular with people who wish to lose weight. Although green coffee bean contains a small amount of caffeine, it does not have a reputation for causing side effects and is generally tolerated well by the majority of users. However, women who are pregnant or breastfeeding a child should always refrain from using any brand of supplement unless their doctor has informed them it is safe to do so. The same advice holds true for people who have existing health issues and for anyone who is using medication. CoffeeTrim is manufactured by Hi-Tech Pharmaceuticals. The company is based in the USA and markets a number of other health and fitness supplements and training aids. All of the company’s products are available from the Hi-Tech Pharmaceuticals website and most of them can be found in many popular online stores. Customers who buy directly from Hi-Tech Pharmaceuticals are looking at a price tag of £23.00 / $29.99 per (90 capsule) bottle. That’s not particularly expensive, but many online stores, including Suppz.com and Best Price Nutrition are selling the product 50% cheaper, so it’s possible to get a bargain, but potential buyers need to be aware CoffeeTrim is not backed by a money back guarantee. CoffeeTrim should be capable of helping people to lose weight a little faster, but only if it’s used alongside diet and exercise. The same can be said for most green coffee bean products though. However, unlike some of its competitors, CoffeeTrim has not accrued any customer feedback, so there is no way of knowing if it’s worked for past users. This is not a point in the product’s favour, especially bearing in mind the fact that it’s sold without a guarantee. All of the leading diet pill brands have plenty of good customer feedback and come with a money back guarantee. Granted the price per bottle is usually slightly higher when buying these products, but customers have the benefit of knowing they can get their money back if they wish to do so. The best diet pills also offer dieters support in a number of different ways and the combination of appetite suppression, enhanced fat burning abilities and extra energy they provide is a big part of their success. CoffeeTrim may have its virtues but it cannot compete with products like these, they beat it right across the board. 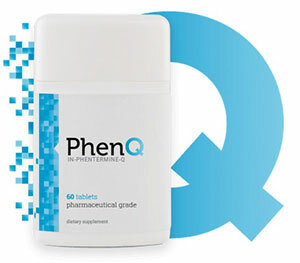 We recommend PhenQ – a uniquely formulated diet pill that can help weight loss on many fronts. PhenQ can reduce hunger by suppressing appetite, burn excess body and also stop unwanted body fat. PhenQ is available direct from it’s manufacturer who offer a 60 day guarantee and free shipping worldwide.